Over 2/3 of online shoppers tap customer ratings and reviews when looking for information about a retailer or products. – Be prepared to have all your web content easily accessible for mobile devices and tablets. Shoppers aren’t relying solely on computers anymore. – Are your emails and enewsletters smartphone friendly for viewing? Are your coupons only accepted if printed or can they be accessed via tablets and smartphones? Is your website easy to navigate and laid out for shoppers to find your holiday specials? – Shoppers today are turning to emails to get information on retail deals, coupons and holiday announcements – use email to send enjoyable holiday content and last minute special deals to your distribution list of loyal customers. – People love to share their shopping experiences, deals and new purchases on social media. Are you sharing your best content on your social media accounts and is your content easy to share by others? – Have you considered how you can use social channels to collect and promote reviews and ratings from your best customers, such as through Pinterest and StumbleUpon? – Are you using your homepage to promote your in-store and online promotions and marketing materials, whether its coupons, deals or a piece of content? If you have a business blog, are you using it for holiday promotions for products and services? And is your blog and website mobile-friendly? Make sure your website is smartphone friendly, as well as for tablets if the budget allows. Ensure that your emails and e-newsletters are easy to read on mobile devices and that links work correctly. 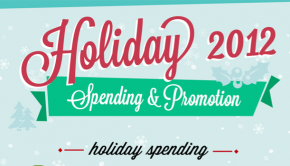 Create a holiday calendar and plan which coupons or specials you will promote via email, social media and in-store. Share your best holiday content on all your social media accounts and have a plan to monitor social engagement while away on holidays. Promote your customer reviews and testimonials on your social media accounts, especially Facebook, and consider promoting your products and services on Pinterest for a more visual appeal and sharing. 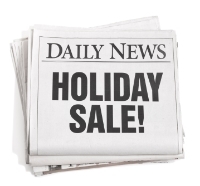 Use your website and make promote your holiday deals on your homepage to get the message out loud and clear. Connect your blog with your holiday specials by writing posts that relate to your products and services, or work with a guest blogger to do a review. Consider doing a holiday promotion that involves charitable donations, such as a percentage of sales goes to a local food bank or a discount to shoppers who bring in a toy for the local toy drive. And remember to have fun with your holiday content and promotions, making sure to provide a positive shopping experience for your customers. Happy Holidays! Previous Previous post: Brand Advocates: Who Are They and Why Should You Care?